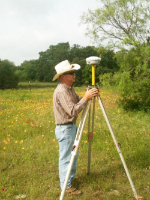 Call now for land surveying services near San Angelo, TX! Are you looking for a professional land surveying and survey mapping company to find oil well locations in Eastland, TX; San Angelo, TX; Snyder, TX; and the surrounding areas? You want to be sure you hire a company that is reliable, accurate, and has an outstanding reputation throughout Texas. 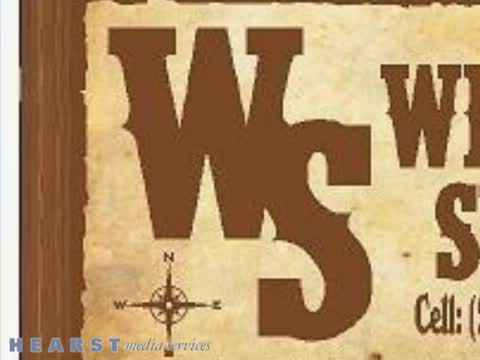 That company is Williamson Surveying, Inc.
Williamson Surveying, Inc. has proudly been serving Eastland, TX; San Angelo, TX; Snyder, TX; as well as all counties of Texas with professional land surveying and mapping services since our start in 1994. We specialize in boundary, topography, flood certificates, right-of-way, construction, subdivision platting, ALTA/ACSM land title surveys on urban and rural tracts, well locations, and pipeline surveys. Our professional staff welcomes the opportunity to be of service to the public and private sectors. Williamson Surveying, Inc. is a professional land surveying and oil well locations corporation founded by Mr. Lynn Williamson R.P.L.S. 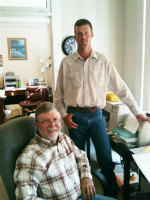 Lynn has served as the elected Eastland County Surveyor since 1994. Lynn has a total of 38 years of experience in the surveying field and is a member of the Texas Society of Professional Surveyors. Since the inception of Williamson Surveying Inc., the company has progressed into a fully automated surveying firm utilizing modem technology in electronic data collecting, computer aided drafting, and Global Positioning Systems. Starting a construction project? We assist contractors by offering land surveying and other services for commercial or residential projects. We use the latest technology to give you accurate results. In addition to land surveying and mapping services, we also provide tree surveys, topographic surveys, flood certification, and more. We serve clients in San Angelo, TX and the surrounding areas. If you are interested in learning more about our services, get in touch with one of our friendly representatives. Are you interested in purchasing land? First you need to get an ALTA/ACSM land title survey. An ALTA/ACSM land title survey shows improvements, easements, rights of way, and other factors that might affect your land ownership. Williamson Surveying, Inc. offers residential and commercial ALTA surveys for affordable prices. We will locate and verify the location of all the existing property corners to give you an accurate picture of the land. In addition to the use of modern equipment and computer software, our staff has a complete understanding of the legal aspects and principles of land surveying, including the history and original distribution of land throughout the Eastland, TX; San Angelo, TX; and Snyder, TX area. This knowledge, together with a thorough understanding of the early techniques of measurement utilized by surveyors, assist us in making the critical boundary determinations necessary to protect the welfare of the public and enable reliance upon the professional work performed. To learn more about our land surveying services and how it is beneficial to you, give us a call today. We are more than happy to provide you with all the information you need. Let Us Help You Find Oil Well Locations! Texas is home to many oil well locations. Williamson Surveying, Inc. can help you find the perfect drilling location near Eastland, TX; San Angelo, TX; and Snyder, TX in no time at all with our oil production surveying services. Our goal is to provide you with an accurate land surveying in a time-sensitive environment that is cost-efficient. We do all the hard work for you, so you can sit back, relax, and focus all your energy on your own business. We will find you the oil well locations you are looking for! 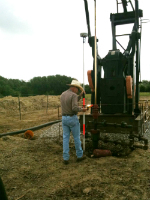 If you need professional assistance with land surveying or locating oil well locations, please call Williamson Surveying, Inc. now at 254-629-8151 to speak to one of our friendly representatives and to set an appointment. We will take care of all the technical and tedious paperwork so you don’t have to worry about a thing. Come see why so many home and business owners have turned to us over the years for their land title surveys and mapping needs. Our building is conveniently located at the corner of Main and Lamar Street in the Annex building on the 3rd floor. We look forward to working for you!